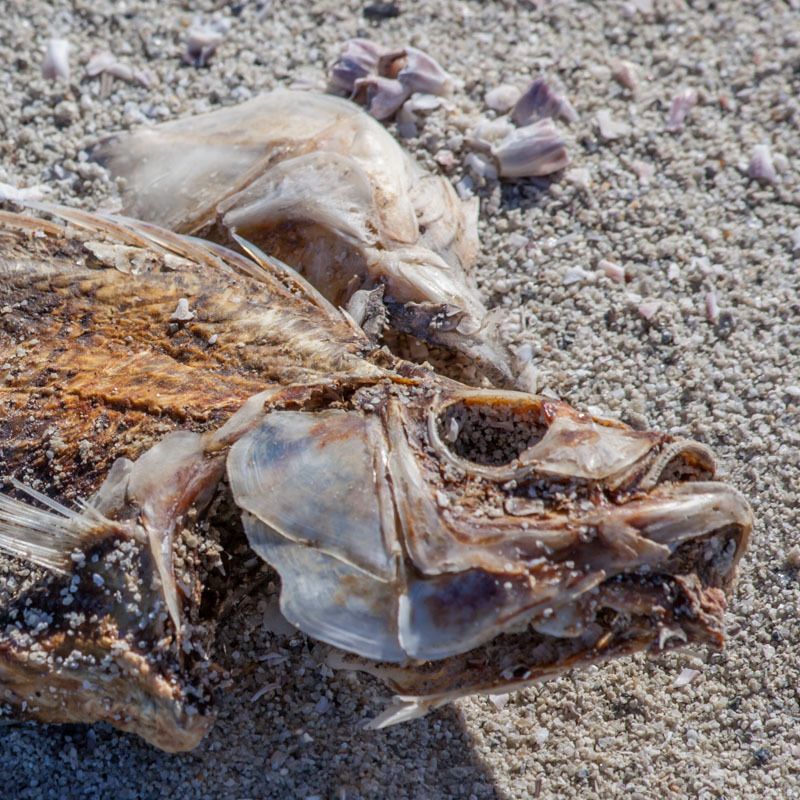 I’ve been gifted this review of my current series: Salton Sea Eco-Disaster — I cannot look away. One of the most provocative and insightful bodies of artwork in the Telling Stories: a visual art exhibition is a series of photographs by Phyllis Schwartz. 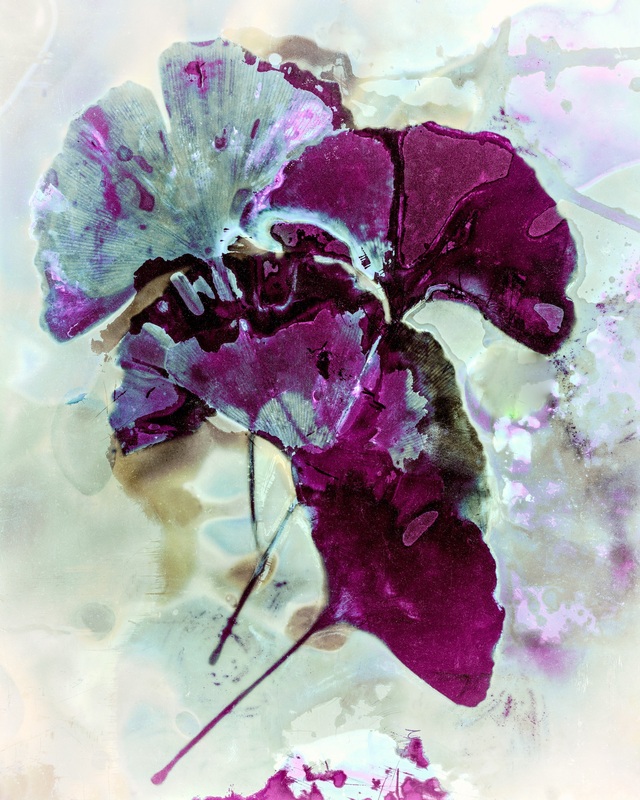 Although a great deal of her work is more abstract in nature and rooted in the historical techniques of photographic image making, this series is a departure for her. The images are very monochromatic and stark as well as being rivetingly close to their subject matter. What has caused this departure, especially when the work has been simmering since the winter of 2011? 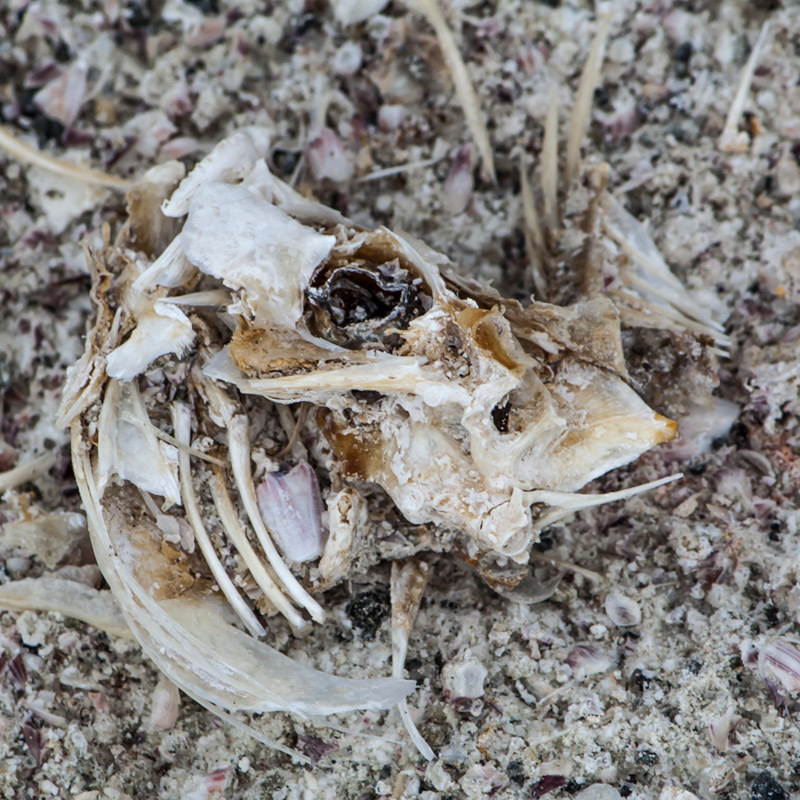 Having witnessed the ecological destruction on the shores of the Salton Sea, California’s largest body of water, the images were just too graphic and unworldly. How does a visual artist work with a set of images that seem implausible, yet at the same time so captivating? What are the implications of creating a series around these images that wander between a work of art, a statement of witnessing and a political commentary on our economically driven ecological disasters? In the end one cannot really look away, as Phyllis Schwartz expresses in her subtitle, without becoming even more complicit than one already is creating these images. To look away is to do what is so often done, to pretend we are not part of the problem. We are collectively the authors of this series; even in Vancouver, the food grown in this area that flows 15,000 tons of phosphorus and nitrogen into this landlocked sea is the food we shop for on our grocery shelves. The cars we drive that are made in Mexico in the maquiladoras just across the border, emit a toxic stew mixed with sewage, and this flows down hill across the border into the Salton Sea. This artificial river is now the most toxic waterway in North America, we should not be looking away. Schwartz’s images are simple yet draw in the viewer; they are micro-compositions of areas no larger than a dessert plate. Abstract in presentation and mostly black and white with hints of colour, one can not help but think of Edward Weston’s work and the intimacy he expressed with the objects he photographed. Yet the images are not as subtitle, and unlike Weston, the images are much less rooted in the post modern culture that favours irony while making allusions to knowledge. It also seems to lash out at the pseudo-modern world of around us where iPhones and social media often gives the impression that one is immersed when often one is overtaken or swallowed up. As the viewer moves from one image to another, one begins to feel that something is amiss. What is the magnitude of the dead barnacles beach? 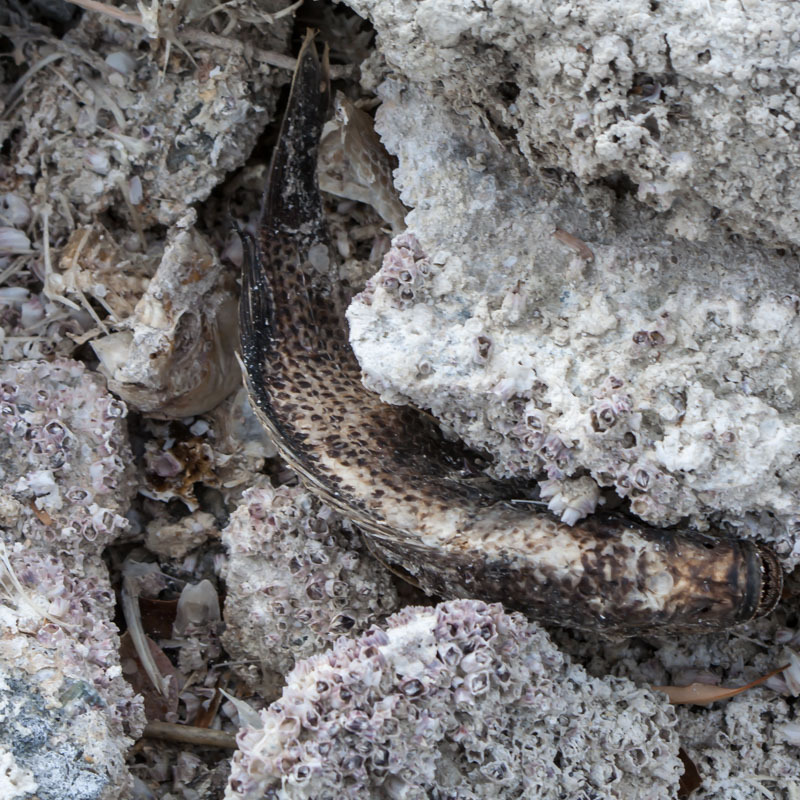 Why are the fish mostly unconsumed by the other wild life in the area? Why have they not been cleaned up by local inhabitants? Having chosen to work at such an intimate range, the work hints at the extent of the problem without graphically showing the masses of dead fish that actually litter the shoreline. The artist here is reflecting our tendency to minimize and reduce things down so we do not see the scale of the problem. One cannot look away, but one does not want to see the scale, a scale might prove too challenging. The softness and almost abstract forms allow one to at momentarily escape before the mind lurches back to what is being presented. It moves the viewer to search out the subtext and the footnotes of this ecological metaphor of our current age. On the Wall Series, photographed in Germany in 2015, will be part of the Telling Stories:a visual art exhibition opening on the 7th of November 2015. The exhibition will include photography, painting, sculpture, fibre art and other installations. It will feature the following nine artists: Alison Keenan, Phyllis Schwartz, Jim Friesen, Daphne Harwood, Sophi Liang, Colette Lisoway, Edward Peck, Debra Sloan and June Yun. This is the BestB4 Collective’s latest exhibition, and it is graciously hosted by the Chinese Cultural Centre in their On-Tak Cheung Exhibition Gallery.